I undertook my undergraduate degree in Social Work at Queen’s University Belfast (2015), before continuing my studies with a Master’s degree in Social Research Methods, where my dissertation focused on the emotional management of social work students in Northern Ireland. Through my employment and my academic studies I have had the opportunity to engage with children, young people, and families. 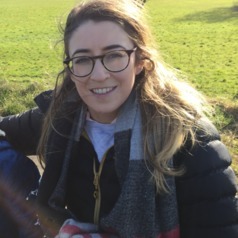 The experience of working with families has deepened my interest in mental health, subsequently I embarked on my PhD in October 2016 to further explore this area.